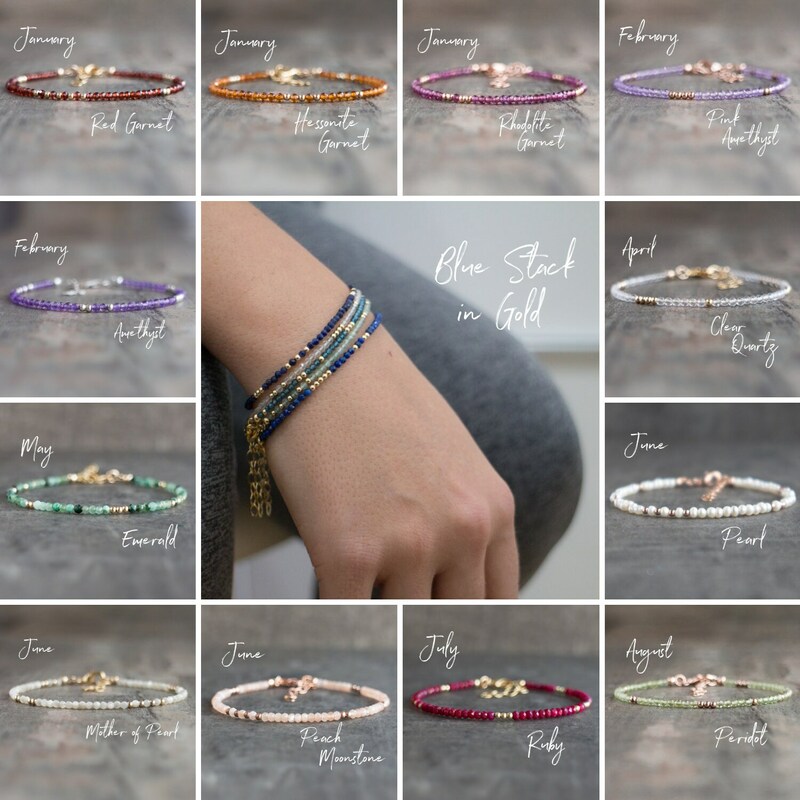 Skinny Gemstone Bracelets! 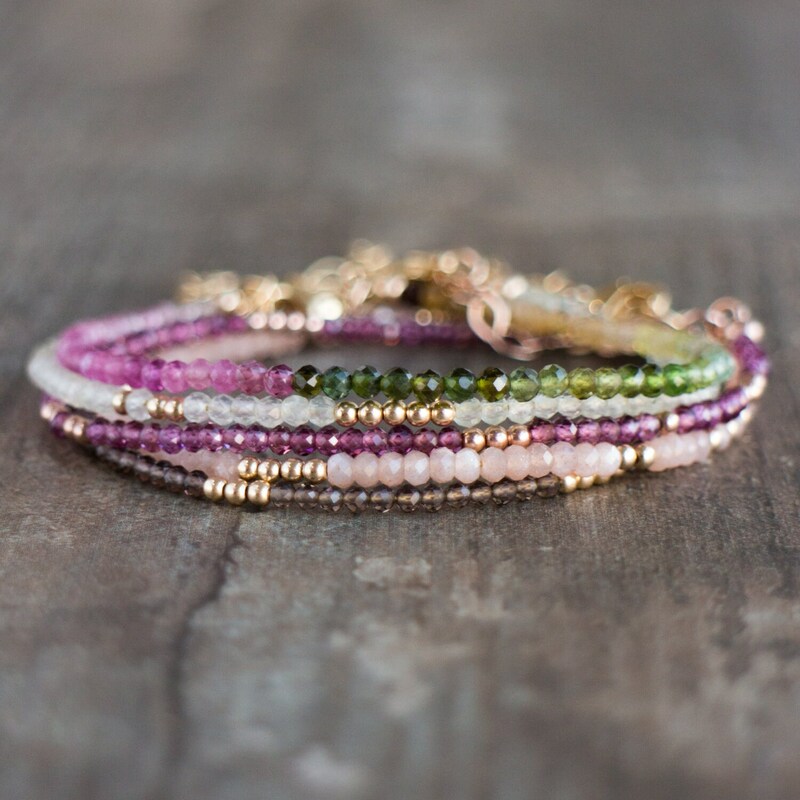 Ultra dainty, super elegant, made for stacking! Tiny genuine gemstone beads are uniform diamond cut with gorgeous sparkle! They have been strung together with randomly scattered tiny gold beads! 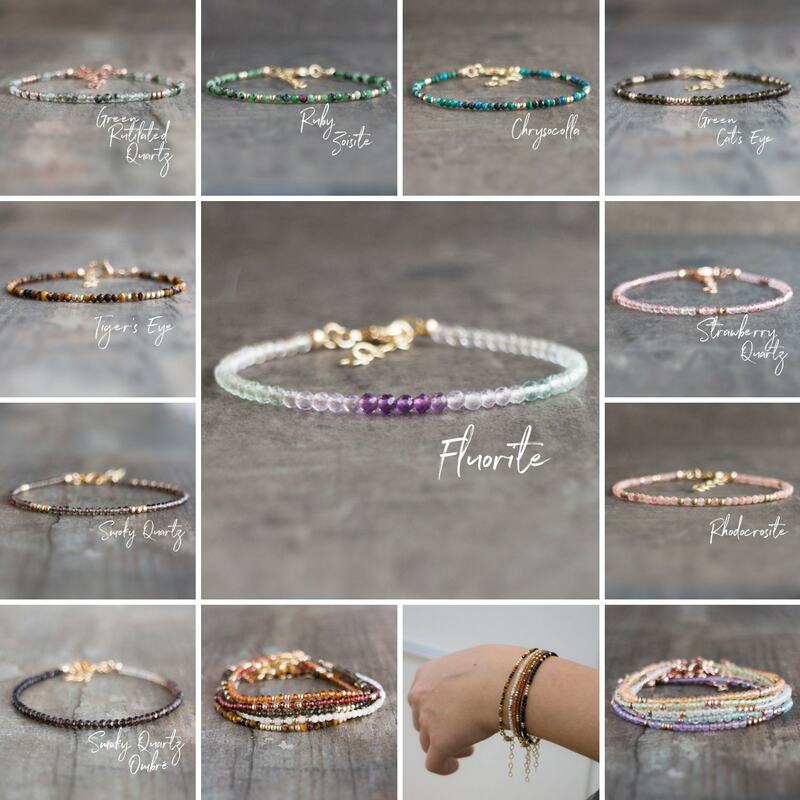 •This listing is for ONE bracelet. 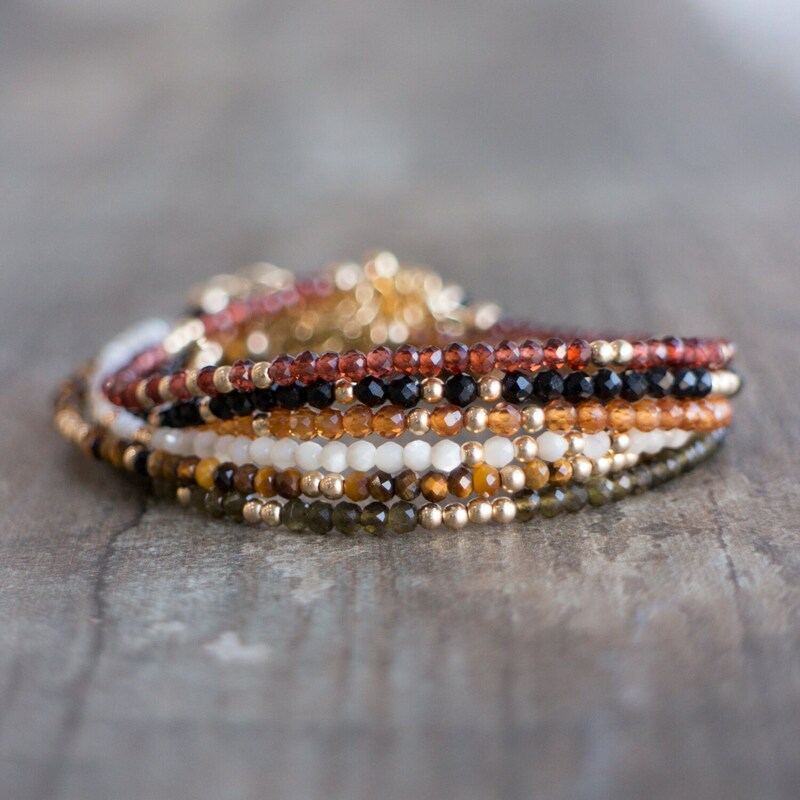 You can create your own stack in your preferred metal and gemstone choice. Fully customisable with over 35 stones and 3 metals to choose from with adjustable length between 6.5-8"/16.5-20cm. 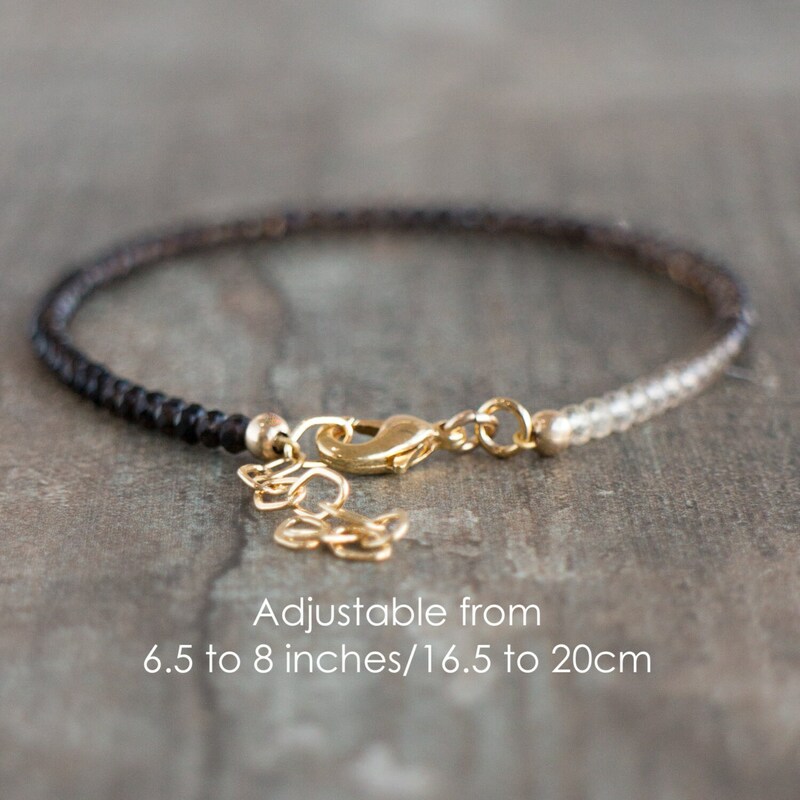 •Available in Sterling Silver, 14K Yellow or Rose Gold Filled. 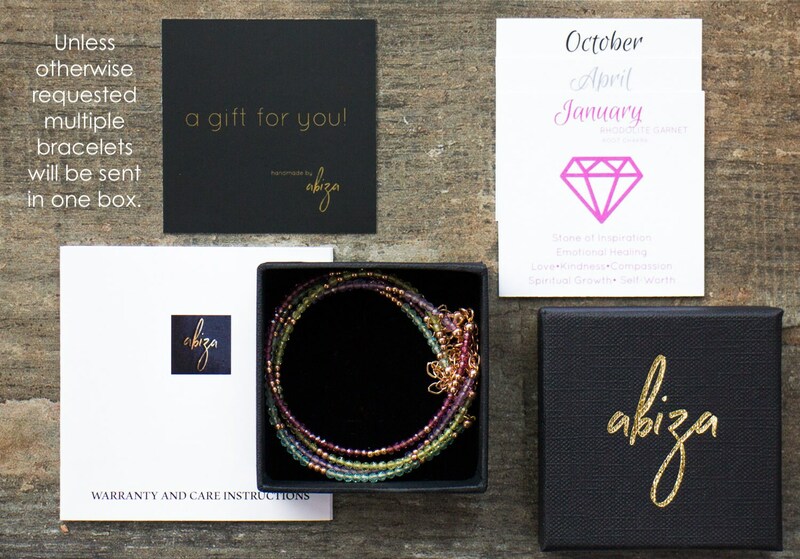 Each comes with their own crystal information card, in a beautiful Abiza gift box. 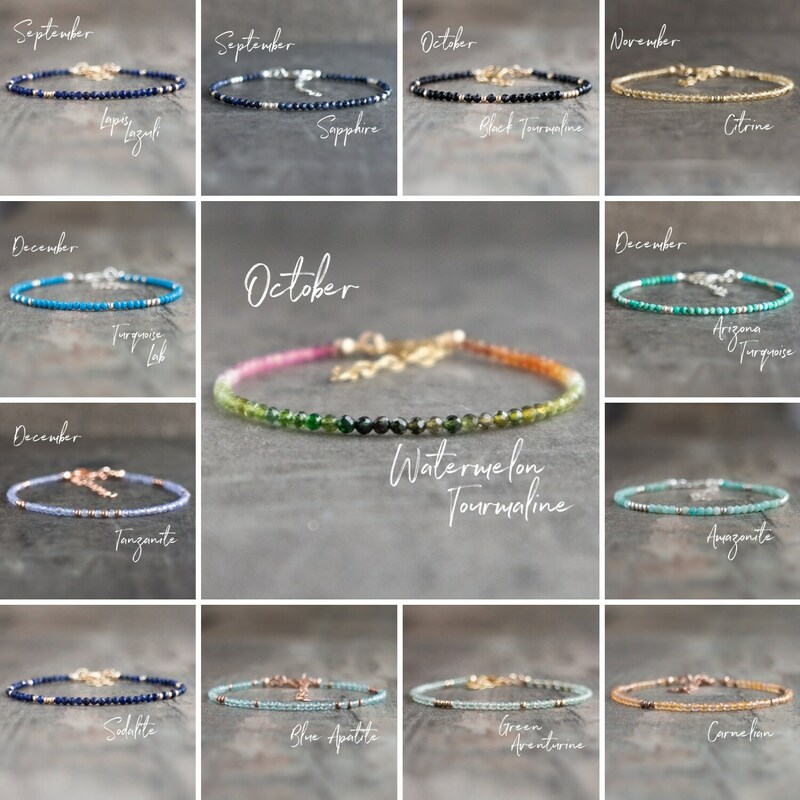 •Unless requested otherwise multiple bracelets will be sent in one box. Please see the 3rd image. •Please see the 5-6-7th images for the available stones. •Trigger clasp closure is shown in the 4th image. 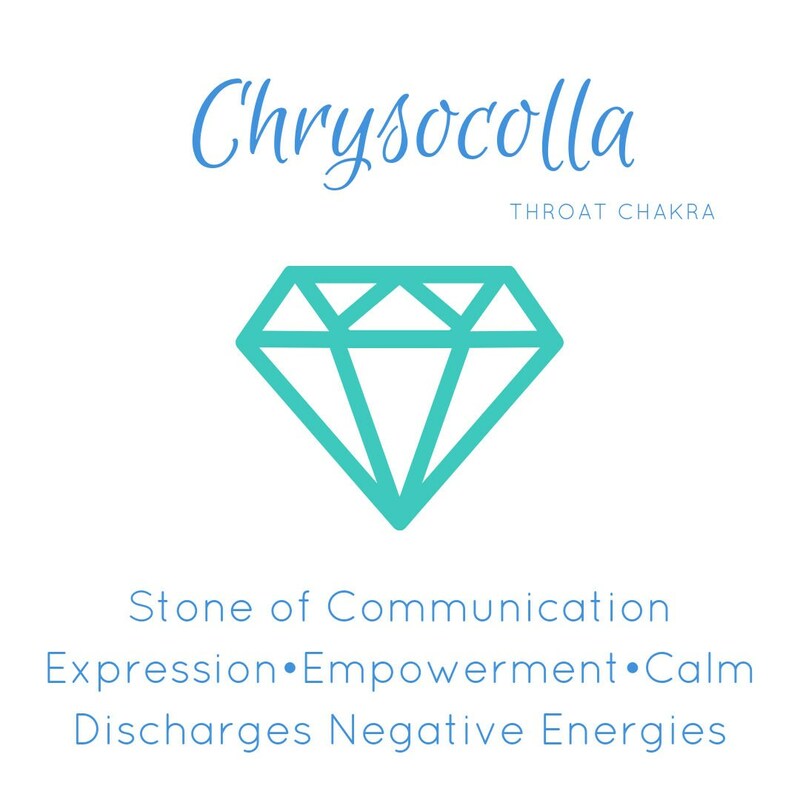 •All gemstones are natural. Only we have 2 options for Turquoise. 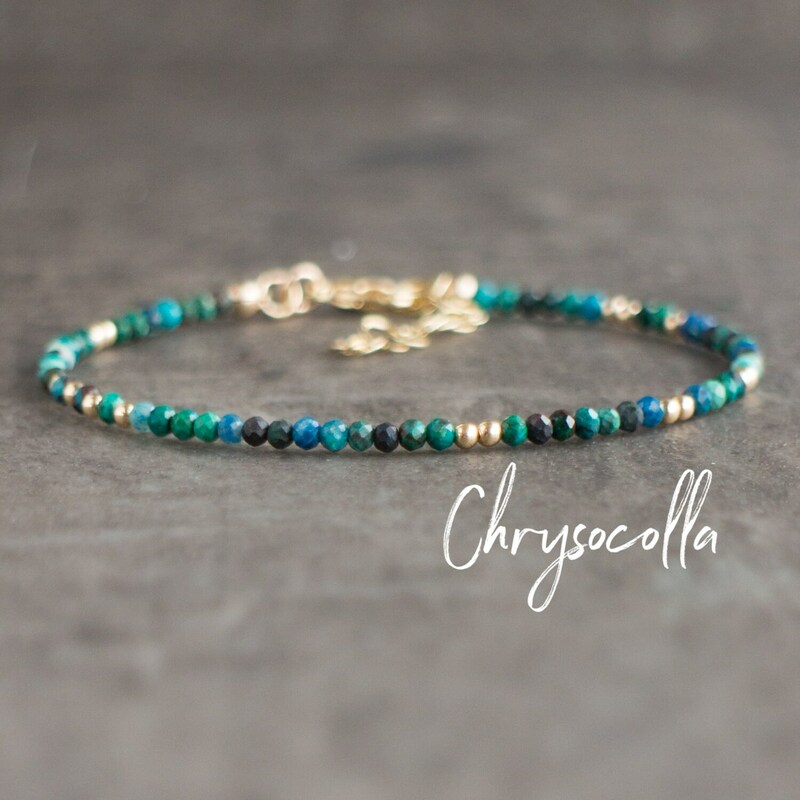 Genuine Arizona Turquoise and Lab created one.